Discipline. Consistency. Harmony. Responsibility. Restorative. Abbi is all about WE’s delightful and pleasant atmosphere. Abbi is a Registered Dental Assistant, having graduated from The Dental Assisting Program in 2014. She loves working at WE•Ortho because of all the wonderful people she works with, and because of the fun and friendly environment! Outside of WE•Ortho, she loves reading, being outside, and spoiling her niece. She has been with WE Ortho for four years so far! Ideation. Restorative. Individualization. Responsibility. Input. 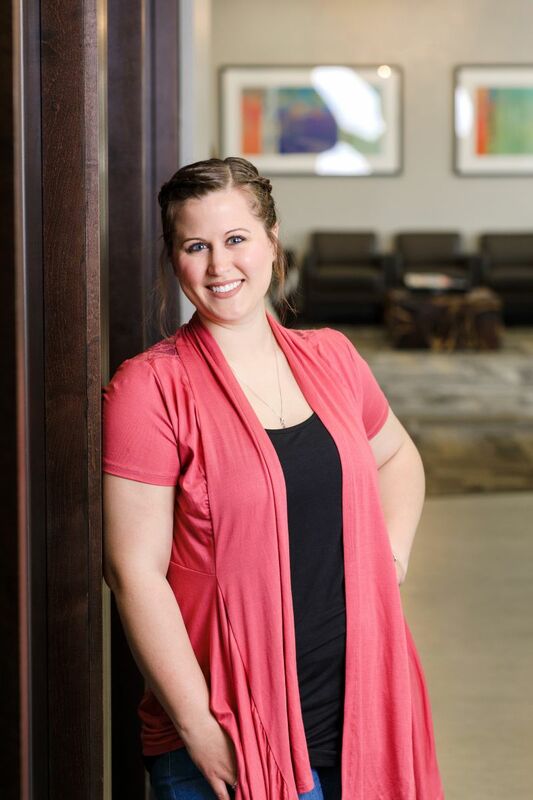 Cassie’s friendly demeanor is an integral part to our uplifting space at WE Ortho. She has been with WE Ortho since 2014 and has been in a variety of different roles around the office. 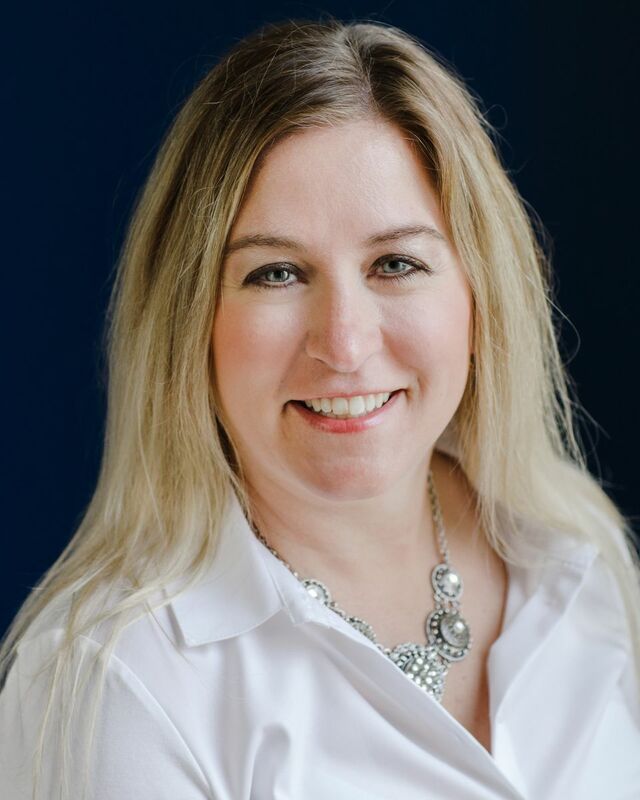 Currently, Cassie is our Systems Director and fills in elsewhere when needed. She graduated from Salina Technical College in Kansas for dental assisting and has been in the dental industry since 2008. 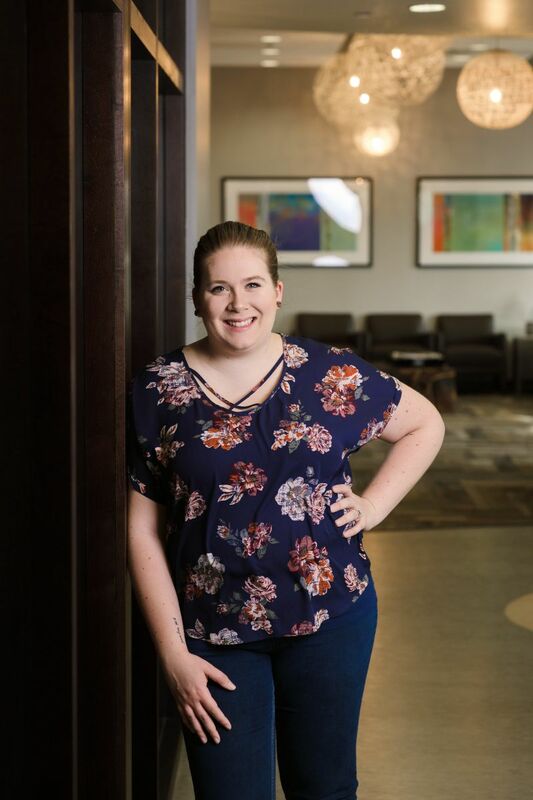 She loves working at WE Ortho because she enjoys making a difference in patient’s lives by putting a smile on their face and building relationships. Outside of the office, she spends time with her husband Nathan who she recently married in 2015, her dog Tater and Mikka (both adopted from 4Luv), loves to cook, camp, travel, and spend time with family and friends. Strategic. Maximizer. Adaptability. Developer. Input. 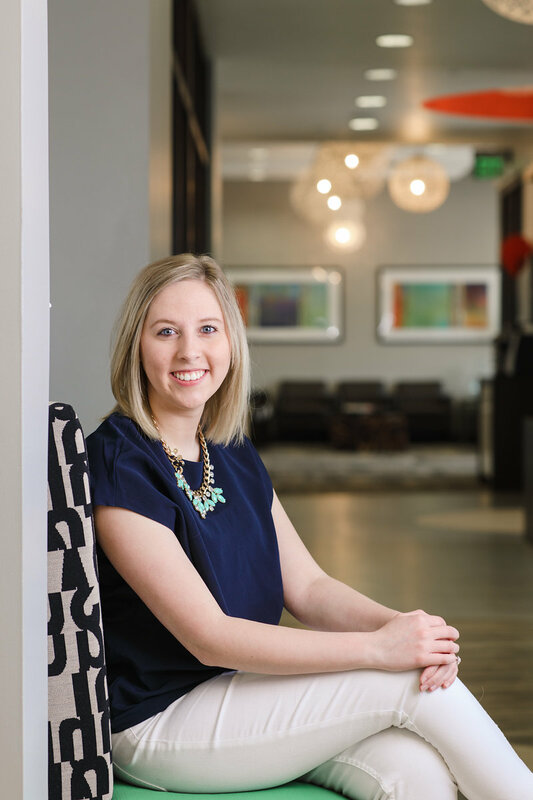 Elizabeth's attention to detail compares to none other and keeps the WE Ortho office running smoothly. Elizabeth wears many hats in our office and focuses on being onr rockstar Insurance Coordinator. Elizabeth graduated from Concordia with a Bachelors degree in Biology. Elizabeth loves being apart of the WE family because she loves working with patients and her incredible teammates. When she is not at work she enjoys time with her husband, whom she married in 2017, and their two dogs Harley James and Tillee Mae. She also enjoys the outdoors; camping, hunting, fishing, hiking and more! 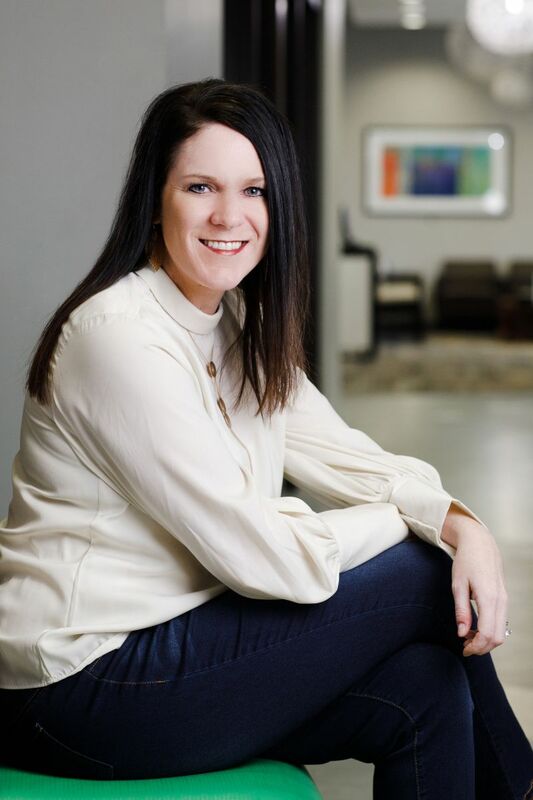 Elizabeth has a very creative side and loves to craft and dabble with interior design. Harmony. Consistency. Includer. Communication. Positivity. Jen’s passion for a positive impact is apparent. Jen is a Dental Assistant, having received her certification from DANB. She has been in the dental field for eighteen years, sixteen of which have been with WE•Ortho. She loves WE•Ortho because she has fun coming to work, and she loves working with patients. Outside of WE, Jen spends time outdoors with her family. Positivity. Developer. Woo. Communication. Adaptability. Jodi brings positivity, light, and laughter to our practice. Jodi is a Dental Assistant, having attended M. State for dental assisting. She has spent five years in the dental field, all of which have been with WE•Ortho. She loves working at WE because she loves the team energy and fun, and sees her coworkers as her family. Of course, she also loves helping make beautiful smiles. Outside of the office, Jodi loves spending time with her daughter Mila and shopping. 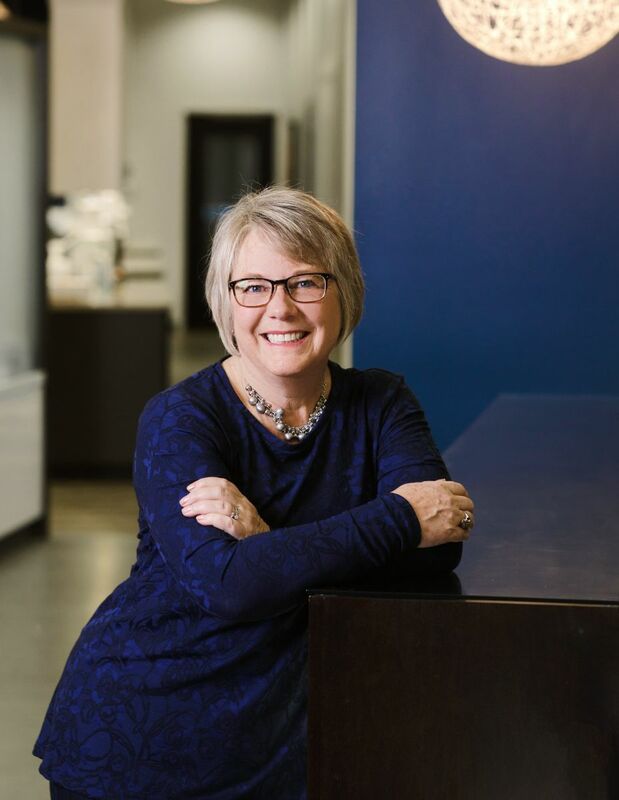 Karen’s inspired and artistic personality brings excitement to our practice. Karen is a Lab Technician, and has been in the dental field for thirty-eight years. 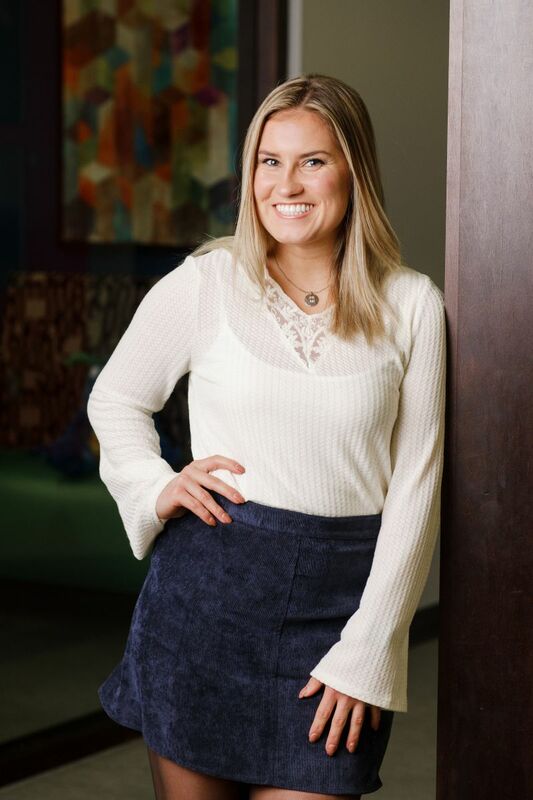 She loves working at WE•Ortho because of the people she works with, of whom she considers her “second family.” She loves making appliances for all the patients (especially retainers because they keep patients’ smiles beautiful!). When she is not with us, Karen is gardening, trail riding, playing music (guitar, banjo, piano) and spending time with her family—she enjoys kick-back with her grandkids! Strategic. Restorative. Achiever. Relator. Includer. Cirsten fits right in with the WE Team due to her to positive personality and magnetic smile! Joining our team in 2017 Cirsten brings 7 years experience in the dental field with a degree in dental assisting. In her free time she enjoys photography, movies, and spending time with family and her husband Mike. Empathy. Adaptability. Responsibilty. Relator. Harmony. Melissa loves being dedicated to such a talented team. Melissa is a Dental Assistant, having graduated from Northwest Tech for dental assisting. She has spent twenty-six years in the dentistry field, twenty-one of which have been with WE•Ortho. She loves working at WE because she gets to meet new patients, build relationships with them, and help them to create beautiful smiles. She also enjoys working with talented doctors and coworkers! When she is not at the office, Melissa is at the lake with family and friends, traveling, or reading. She is a Fargo native! Harmony. Woo. Communication. Developer. Responsibility. Peggy’s enthusiasm and expertise work together to create magic in our patients’ lives. 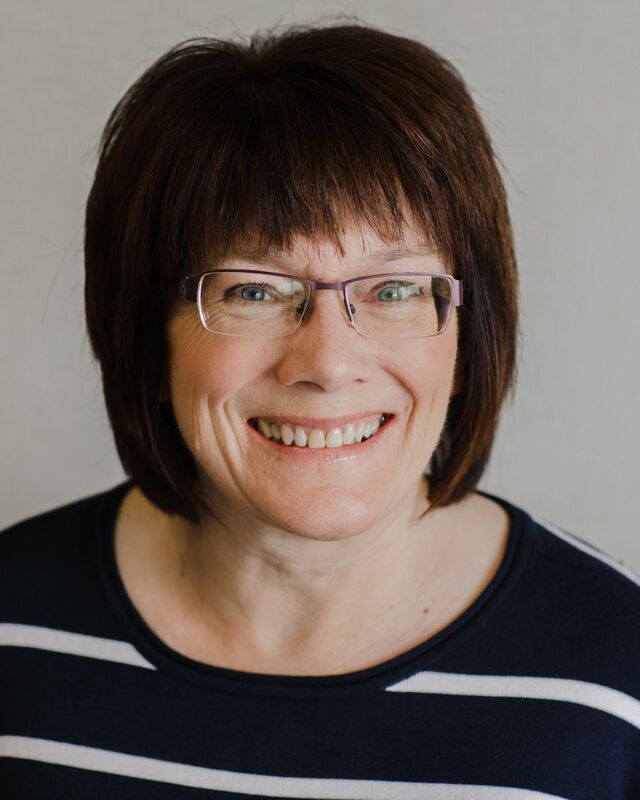 Peggy is a Treatment Coordinator, and has been in the dentistry field for thirty-nine years, thirty-five of those with WE•Ortho. She loves working at WE because she meets wonderful people every day and helps them get a beautiful smile. She also loves her work environment. When she is not at WE, she is spending time with family, gardening, golfing, or hanging out at the lake. Rachel cares deeply about patients’ self esteem. 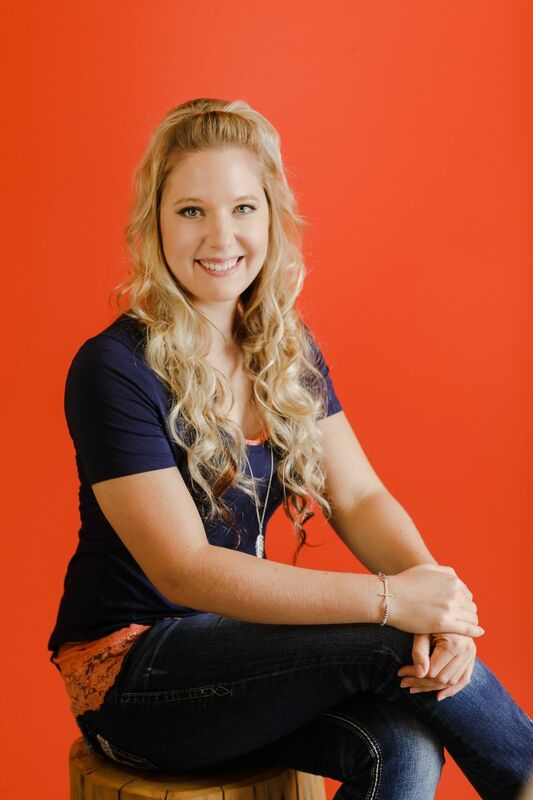 Rachel is a Treatment Coordinator, having graduated with a Bachelor’s degree in Exercise Science. She loves working at WE•Ortho because she gets to help patients become confident with their smiles. When she is not at WE, she is hanging out with her family, going to the lake, and playing soccer. Fun fact: She went to the Women’s FIFA World Cup and was even on ESPN! Deliberative. Harmony. Consistency. Responsibility. Restorative. Laura joined the WE team in 2016 and has been a team player since day 1! After earning her degree from NDSCS in Wahpeton, ND, Laura worked as a dental hygenist for 4 years. After a couple moves around the great state of North Dakota, she has been in ortho ever since! Laura loves being a part of the WE team because she loves achieving beautiful smiles! On Laura's free time she enjoys walking, yoga, baking, reading books and hanging out with friends and family. Empathy. Harmony. Restorative. Consistency. Developer. Destinee is our yogi. She graduated from MSTC-Moorhead in August 2015, receiving her diploma in Dental Assisting. 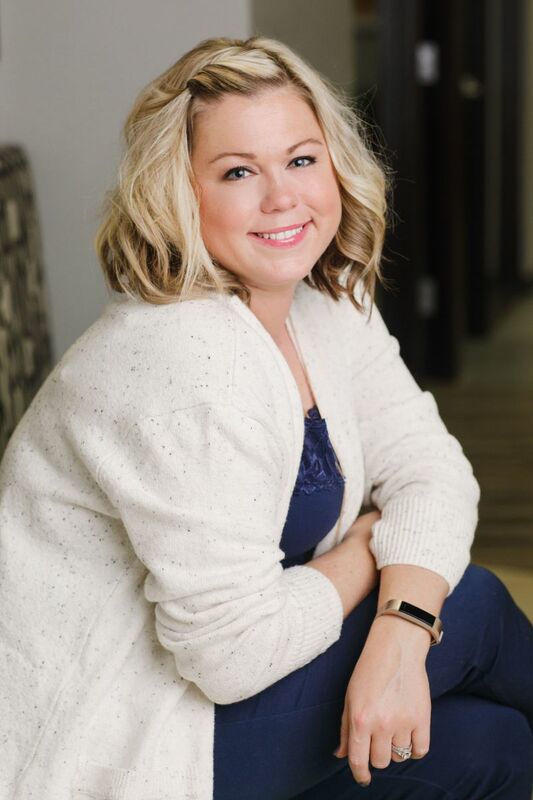 She really enjoys working at WE•Ortho because she has the ability to see patients from start to finish, witnessing the positive changes that naturally happen throughout treatment. Destinee, her husband and their two children; Theo and Natalie, love the outdoors and staying active. Outside of the office, you can find Destinee walking her dog, doing yoga (even headstands!) and keeping an eye out for summer sunshine. Relator. Positivity. Activator. Furturistic. Discipline. Amy believes in creating a practice where patients are the center-of-it-all. Amy is our Public Relations Coordinator, having graduated from MSUM Moorhead with a degree in Mass Communications. She loves working at WE•Ortho because of the strong team and good morale. She is most passionate about WE•Ortho's commitment to give back to the community. Outside of WE•Ortho, she loves being outside, spending time with her high school sweetheart to whom she is now married, and cooking, camping and exploring with her three wild and adventurous sons. Competition. Furturistic. Strategic. Activator. Woo. Josette’s can-do attitude is what we love most about her. Josette is our Lab Technician and she loves working at WE•Ortho because she gets to meet our new patients and give them a tour of the office before taking their records. When she is not helping in the lab, clinic and front desk, Josette is outside fishing, camping, hiking and enjoying cuddles with her cat Harold. Adaptability. Empathy. Harmony. Developer. Includer. Trina graduated from NDSCS in Wahpeton with a Dental Assisting Degree and is DANB certified. Trina loves being a part of the WE team because she loves seeing the changes that can happen with patient's smiles. On Trina's spare time she enjoys hanging out with her family and reading. Deliberative. Adaptability. Empathy. Relator. Responsibility. April shines like a star as one of our Financial Coordinators! April graduated with a degree as an Executive Administrative Assistant with a medical emphasis. What April loves the most about the WE environment is the nice staff and Doctors who have made her feel like a part of the family since day 1! April is an avid concert goer, a major animal lover and our very own Suzi Homemaker, as she owns her own cake/cupcake making business! Empathy. Developer. Responsibility. Discipline. Individualization. Melissa is truly the epitome of good customer service! WE love having her as the first face people see when they come into our practice! 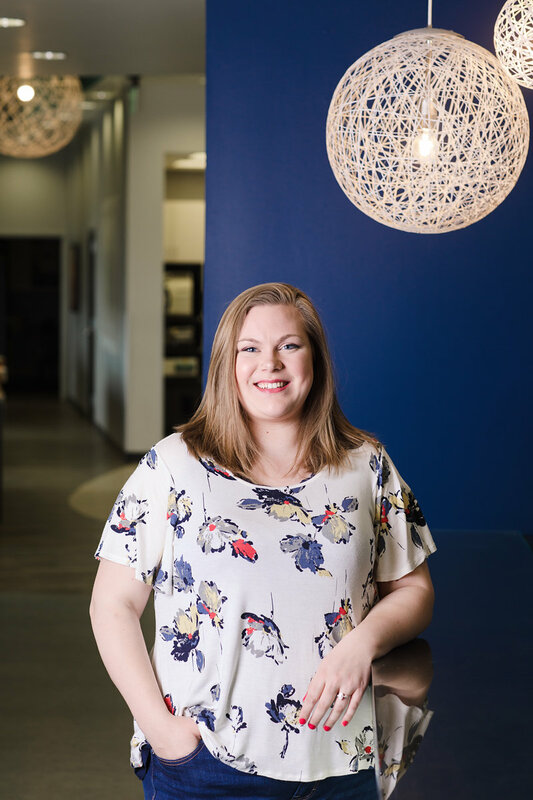 Melissa's love for the WE environment comes from her love of meeting new people and treating co-workers like extended family. On her free time, Melissa enjoys traveling, scrapbooking and spending time with her husband and 3 beautiful daughters! Input. Restorative. Intellection. Ideation. Futuristic. 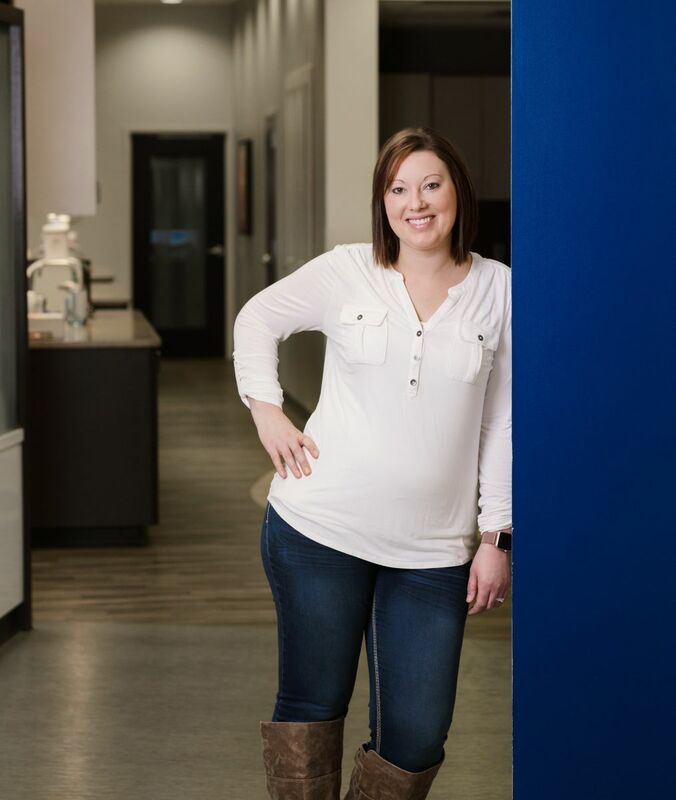 Whether Jessica is in the lab or assisting chairside, she is sure to warm every patient and parent's heart that comes through WE Ortho's doors. Graduating with a degree in dental hygenie, Jessica brings a lot to our clinic. When her smiley face can't be found at WE Ortho, she is likely attending a favorite music concert, snowmobiling or hanging with family and friends. Strategic. Activator. Maximizer. Command. Focus. Candace has a passion behind every smile she works on. She is committed from the first appointment to the day your beautiful smile is revealed. Candace loves the team atmosphere and working with kids. She became a registered dental assistant with a DANB certification after attending NDSCS. During her free time Candace enjoys spending time at the gym and cheering on her husband Ian with her two girls, Braelynn and Benny. Includer. Discipline. Futuristic. Relator. Positivity. Kaitlyn brings that extra energy WE all love here at WE Ortho. She shares that energy and her contagious smile while working either in the lab or assisting chairside. She graduatd from LATI in Watertown, SD with an Associates Degree in Dental Assiting in 2016. 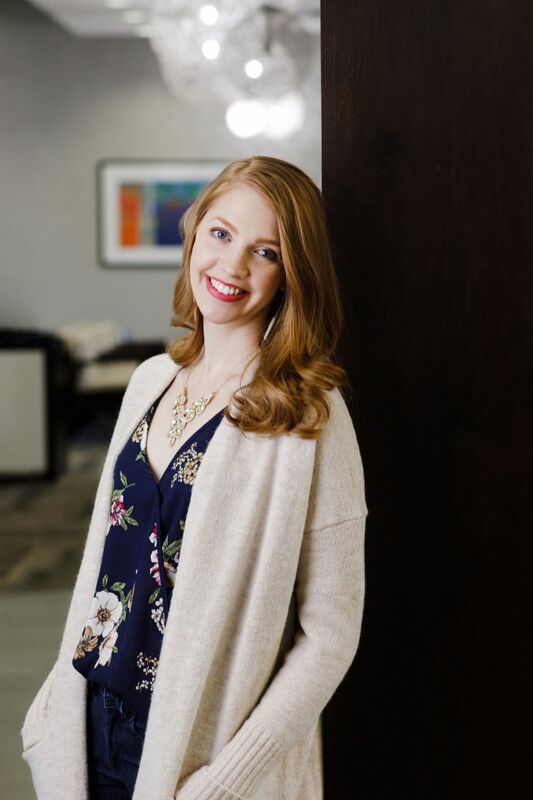 When not in the office Kaitlyn enjoys being outside with her dog Sophie and going to UND Hockey games with her Fiance Chase. They are planning a wedding for August 2019. Empathy. Discipline. Consistency. Positivity. Responsibility. 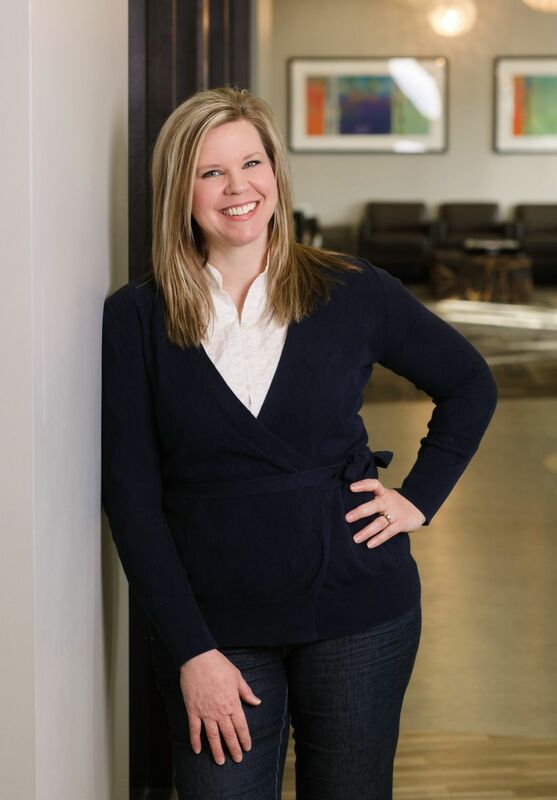 Heidi brings all things fun as our Marketing Coordinator at WE Ortho. 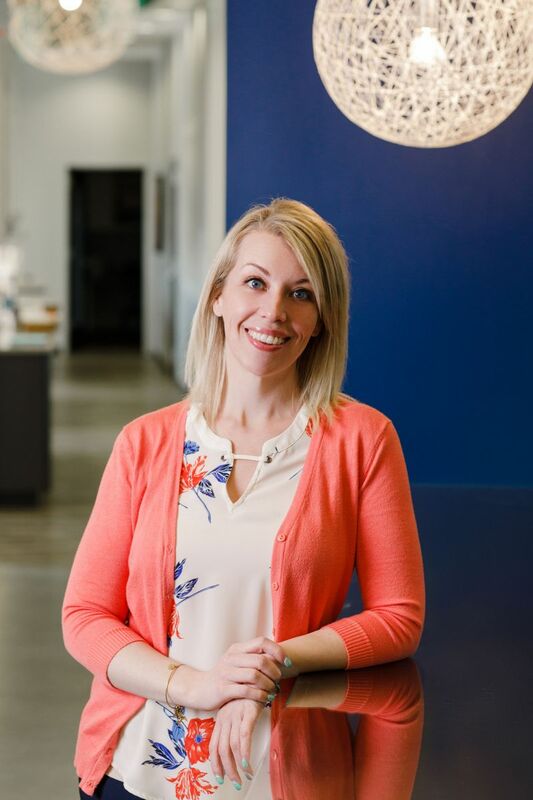 With a degree in Graphic Design she brings 12 plus years of experience in customer service, and marketing. She spends her days planning our events, and coordinating the day to day activities within the office. When she is not at the office she enjoys; cooking, reading, gardening, and spending time with her husband Alex and their french bulldog Tucker. Achiever. Harmony. Responsibility. Consistency. Belief. Amber has been such a great addition to the WE team. Every day she brings positivity, and encouragement to anyone she interacts with. Whether she is in our observation room or working chair side all of our patients have a great experience. After attending UND for pre-dental, Amber transfered to MSCTC for her dental assisting degree. She has 10 years’ experience in the ortho field and we are lucky call her ours. In her free time Amber enjoys running, yoga, and reading books by her favorite author Dan Brown. She also enjoys spending time with her husband Chace, son Jettson, and yorkie Modano. Baylee has been a fantastic addition to the WE Ortho Team! She earned a Licensed Dental Assisting degree after attending Central Lakes College in Brainerd. She has fit right in at WE Ortho with her welcoming smile and eagerness to learn. She is works as a scheduling coordinator as well as spending time in the clinic training to become an assistant. In her free time Baylee loves to work out and practice yoga, cook, and spend time at the lake with friend and family. Brandi is our fearless leader and a former Dental Assistant from years ago. 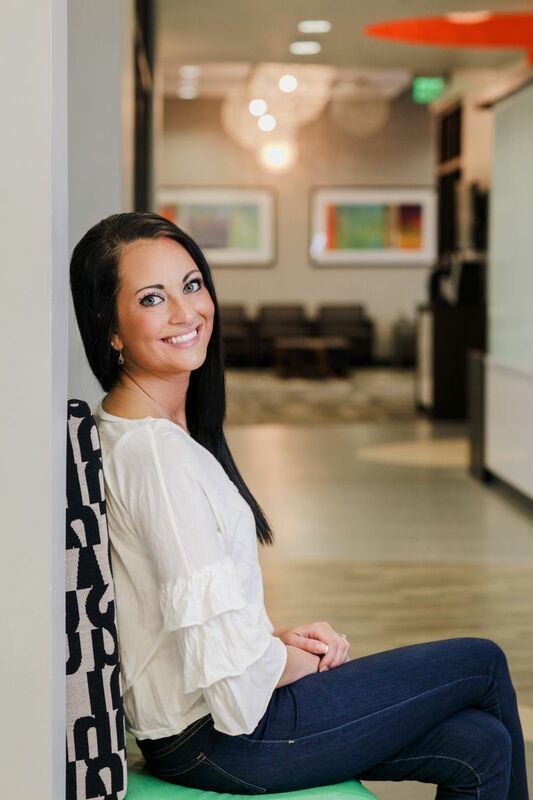 She left the dental industry and finished her Business Degree from North Dakota State University. For the last 12 years she has been in the hospitality industry overseeing 11 hotels. She is ecstatic to be back in the dental field and loves the staff, doctors and patients at WE-Ortho. She takes great pride in being given the opportunity to help our amazing staff run as efficiently as possible. Making sure that the patients experience is exactly what they expect is priority number one. Brandi’s organization and efficiency skills are the best in the business. 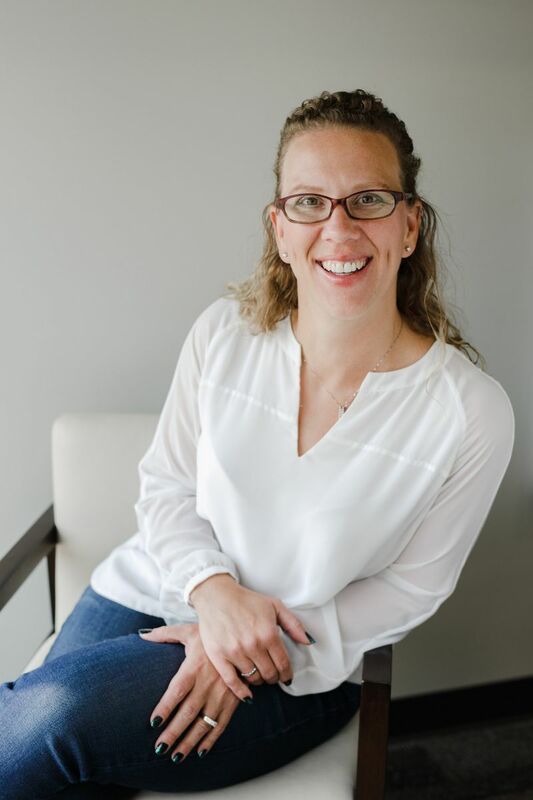 In her spare time, you can find her at one of her boys sporting events, spending time with her husband Joe, or walking their Golden Doodle, Louie. Taya brings so many smiles while greeting patients at the front desk as our scheduling coordinator. She fits right in here with the WE family, it feels as if she’s been here for years. When she is not here you may find her at her second job working as a hairdresser. 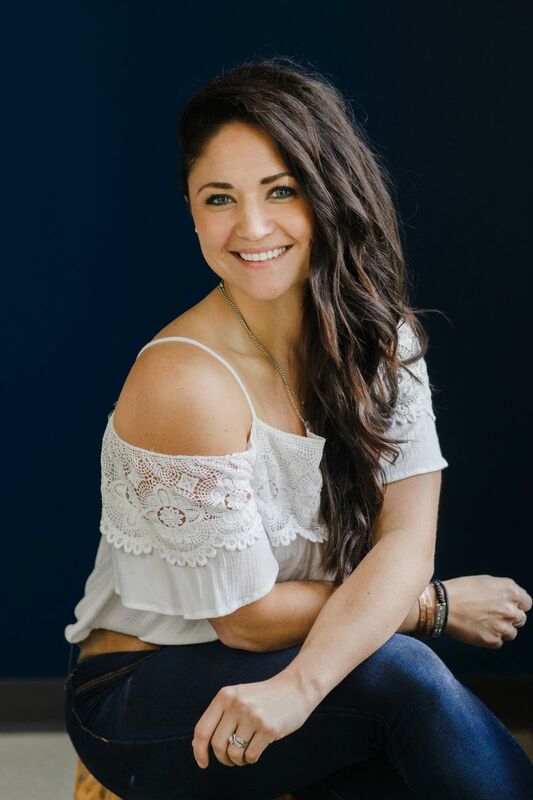 In her free time she enjoys spending time with family and friends, being at the lake, and traveling to cheer on her snocross racing boyfriend during the winter months. Holly has become such a valuable team member in such a short time. You can find her at the front desk, helping out with financials, and also working in insurance verification. 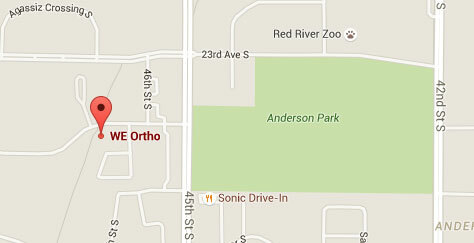 She can personally vouch for the experience here at WE Ortho having been a patient herself. She is so happy to be a part of helping patients feel confident in their smiles. In her free time she enjoys traveling, gardening, photography, and spending time with her three fur babies Korra, Suki, and Boots.